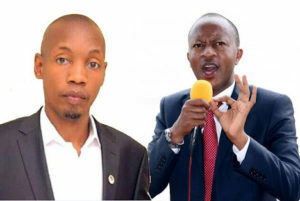 City Business Man Frank Gashumba and socialite Bryan White are engrossed in a bitter exchanged on Facebook. It all started on Saturday when Gashumba in a video accused Bryan White of buying followers. 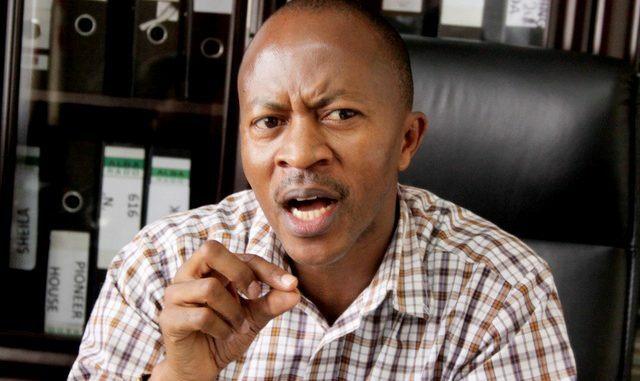 “When I call people, I do not pay them… Whenever Bryan White calls people he is the one who pays them,” Frank Gashumba said. “If people do not like you, then they do not. People like us, but we do not pay them to follow us. They follow us because we represent what people go through every day. People share Bobi Wine’s videos because he presents what people go through. People follow Besigye, because he represents what they go through,” he added. In a rebuttal video, Bryan White accused Gashumba of failing to act his age. “No one is going to fear you Frank Gashumba. I used to respect you because you are an adult, but now you want to act like a youth,” he said. He further added that it is not important to make the loudest noise on social media without helping people who are suffering in the country. What have you done for the country? Who knows you? Will people eat Facebook videos? Learn how to appreciate people, Frank Gashumba. If you thought I was going to fear you, I won’t. Are you going to feed me? What can you offer me? However much you shout, no one will fear you,” Bryan White said. On whether he is buying people to follow him, White said he is giving people money that he worked for. Next articleHuman rights activists visit Bobi Wine, Zaake referred to Rubaga hospital.